Story Tent — Trestle Theatre Co.
A fun-filled hour of magical, professional storytelling and captivating craft creation with Kathryn Holt, for preschool children (ages 2-5 yrs) and their parents/guardians. Trestle’s Gallery Cafe is also open for lunches and children’s lunch boxes are available to order. (Please place any food orders before the session where possible so they can be prepared ready to collect at the end of the session). Cost is £66 for a twelve week term, or £6 per session if booked individually. ‘I devised Story Tent in 2005 at the invitation of Trestle Theatre. 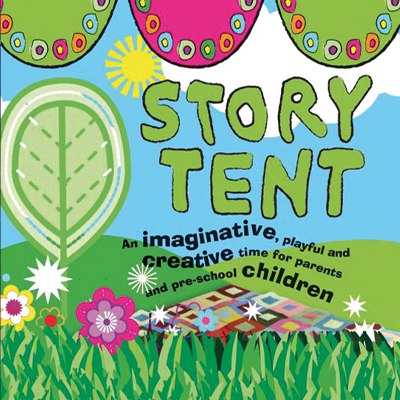 Story Tent is an interactive storytelling session, with craft, where parents and preschool children come to imagine, play and create together. Tea Time Tales is an hour of fun with traditional tales from around the world with professional Storyteller Kathryn Holt. Through listening, telling and making, children develop in confidence, creativity and imagination. For 5-7 year olds. Trestle’s Gallery Café shall be open before, during and after the sessions for snacks, children’s teas and lunch boxes. Parents can drop off children and collect after the session from the café, but any parent who fancies a story is very welcome to join us upstairs! Contact Kathryn on 01727 839784 / 0775 8667 624 or email kathryn@kathrynholt.com to book your child’s place.